The Point of Sale (POS) systems you decide to use in your restaurant will determine, to a great extend, the profitability of the business. For you to streamline operations, improve customer service and profitability, you need to implement the best POS solution. With regards to effective inventory management, improved customer care and streamlined operations, the Lavu Restaurant POS system is one of best solutions you can buy today. If you have been shopping for the right POS system for your bar or restaurant, you must have heard of Lavu POS. As such, you may be wondering why it is rated one of the best today, right? Basically, Lavu is an all-in-one iPad POS system that will give you the flexibility, efficiency and ease of use you are looking for. Over the years, this system has been proven to offer its users high-impact results. According to the restaurant and bar owners who are currently using the system, Lavu has helped them manage their businesses more efficiently. Additionally, such users have reported significant increases in transactions after implementing the POS in their businesses. So, why should you invest in this POS system? Great products and services are often offered by reputable and renowned companies. The Lavu point of sale system is not an exception. This product is offered by Lavu—a company that has its headquarters in Albuquerque, New Mexico. Since its establishment, the company has been empowering restaurant owners across the globe to realize their full potential. In line with their mission statement, the Lavu restaurant POS system offers business owners one of the best restaurant technology platforms. Over the years, this company has been working towards offering intelligent, innovative and reliable products and services to their customers. No wonder their Point of Sale system is one of the best today. Just like any other business owner, you cannot just go around splashing your money on any product. Before buying a POS system for your restaurant, you first need to ascertain whether the system meets your requirements. Let’s just face it, different businesses have different requirements. As such, you should only invest in a POS that meets your business requirements. The iPad POS system by Lavu is cloud based and designed to meet all your business requirements in a single screen. As such, the manufacture offers different POS solutions that are tailor-made to suit different restaurant businesses. Additionally, the product has many benefits to offer your business, as discussed below. As varied as businesses are in the restaurant industry, the Lavu could-based restaurant POS system is designed to meet each and every one of your needs. Depending on the type of businesses you own, the manufacturer will offer you a POS solution that has the right features. While some of the features offered by the various Lavu POS systems are common, some are meant for a particular type of business. The Pizza POS by this manufacturer, for instance, has features to make online ordering and GPS-based deliveries a breeze. As such, the POS allows you to enter multiple addresses and have the pizzas delivered to the customers’ door steps in a matter of seconds. In this regard, the POS will give you turn-by-turn directions to the various locations. For restaurant business owners, knowledge is power; allowing them to make informed business decisions. For enhanced customer service in your business, you need to keep important information on your guests. To make this a possibility, the POS allows you to easily keep track of guests’ data. This allows you to deliver services that are specific to each guest. 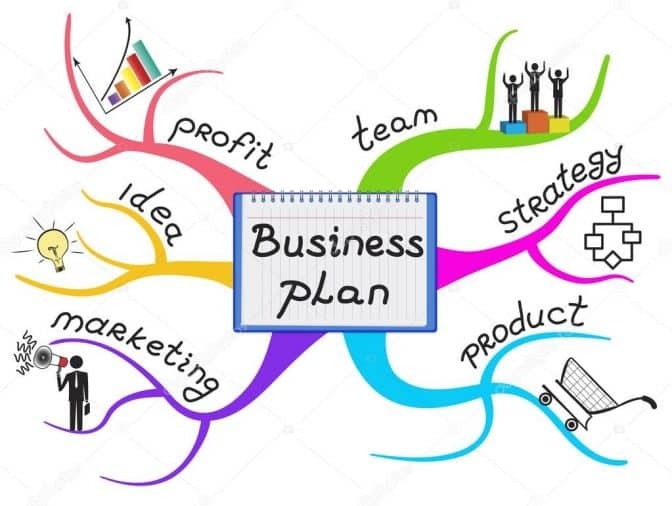 Additionally, the system allows you to track the hourly, daily and monthly sales, payroll, cash flow, till in and out, food costs, stock level, menu prices and labor costs from a central location. Trying to monitor each of these manually and separately can prove to be a tedious process and may result in errors. The Lavu point of sale system will give you accurate data and help you monitor various aspects of your business remotely and in real time. By giving you an overview of the business, this system makes it easier for you to make the necessary changes. For improved profitability in your business, you may need to do things a bit differently. However, knowing what to change in your business to boost profits can be challenging. 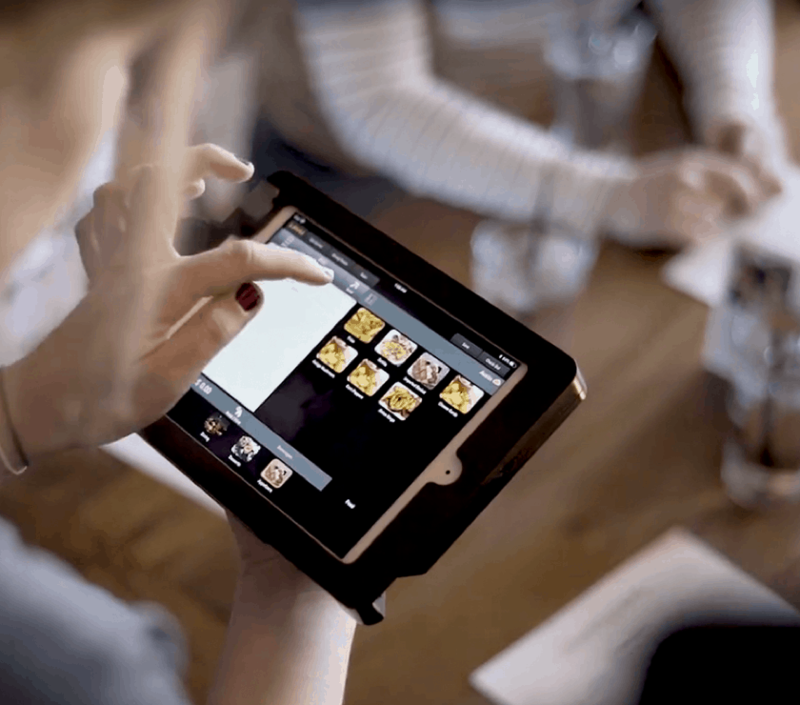 With the Lavu iPad POS system for restaurants, you can easily identify the areas that need changing in your business. With this system in place, you can easily tell the costs that are not necessary in the business, hence cut them. Similarly, the system will also show you the ventures that are working for you to invest more on them. Additionally, the system will present you with an accurate stock inventory so that you can easily know what to buy and what not to buy at any given point. The system will also give you essential insights into how you can alter staff shifts in a bid to streamline operations. By making it easier and more convenient for you to carry out such adjustments, the system has been proven to boost profit margins in restaurants. If you own a high-volume, full service restaurant or simply a quick-service food and drink chain, this is one of the areas you need to improve. The KDS feature of this system is specifically designed to enhance kitchen efficiency and communications in the business. The system allows servers to send instant messages from Front of House to the kitchen by a simple press of a button. The Front of House Lavu devices feature large and clear display screens that make them easier to use. The display systems by Lavu make it easier for your workers to track orders; ensuring that the guests get exactly what they ordered in a timely manner. With this POS in place in your business, the servers will be sending orders from the Lavu Front-of-House devices. The tickets will appear immediately on the large-screen monitor screen in the kitchen. For enhanced efficiency and clear communications, this monitor features a fast navigation bump bar. In order to stay ahead of your competition and grow your business, you have to invest in the right technology for your restaurant. In other words, you need to do the things other restaurants are already doing, buy in a more efficient manner. This is precisely why you should consider investing in the Lavu iPad POS system. This point of sale system has been proven to be very flexible for different restaurant businesses. Additionally, the product is packed with enterprise-level features, including global and regional reporting feature for the multi-location restaurants. Such features make it easier for businesses to scale up. As you have learned above, Lavu iPad POS system has numerous benefits to offer for the different players in the food and beverage industry. Accounting, tracking, inventory and scheduling are some of the most important aspects of your business. Unfortunately, most of the points of sale systems that offer such capabilities are comparatively expensive. In a bid to overcome this challenge, Lavu introduced the all-new Lavu SE feature to its point of sale system. With Lavu SE, you do not need to invest in additional hardware to handle the additional capabilities. Instead, the solution is developed to work on any Android or iOS device. Though affordable, this application will streamline payment and ordering processes in your restaurant. The fact that the Lavu SE does not require monthly payments makes it even more affordable. If you are looking for an affordable way to keep lines flowing and tables turning, Lavu iPad POS system will be a great addition in your business. As you may be aware, the first impression guests have regarding your restaurant is important. As such, Lavu offers your business an array of front-of-house features to boost efficiency and enhance customer satisfaction. Layout Customization – the system allows you to configure its layout in accordance to your bar or restaurant needs. As such, you can choose whichever layout that makes it easier for you to keep track of open orders, open tables and payment status. Menu Customization – the system offers optional and forced modifiers that help you ask the right questions to the customers. For instance, if a customer orders a burger, you can configure the system to ask him or her how the burger should be cooked. Happy Hour Feature – this feature allows restaurant owners to automatically set dollar or percentage discounts at specific times. Tab Preauthorization – this feature allows your customers to pay for their orders at the start of the night. As such, the feature will ensure that you do not have any forgotten cards in your business. Order Status Monitor Feature – a feature that allows you to monitor the progress on any order placed in the restaurant. In this regard, Lavu iPad POS system displays order status as preparing or ready. Hold and Fire Feature – with this feature at your disposal, you can assign specific menu items to be processed at different times. Regardless of your business needs, you need to ensure that your preferred POS system offers enough security for money at the point of sale terminals. For enhanced security of the money, Lavu restaurant POS features a dual cash drawer. In this regard, two cash drawers are attached to every printer and single, shared POS terminal. However, each of the drawers is assigned to a different server. With such a system in place, it will be easier for the manager to hold different employees accountable of the till integrity. To allow the manager more control over the system, Lavu POS allows him or her to override the drawers using the manager PIN. 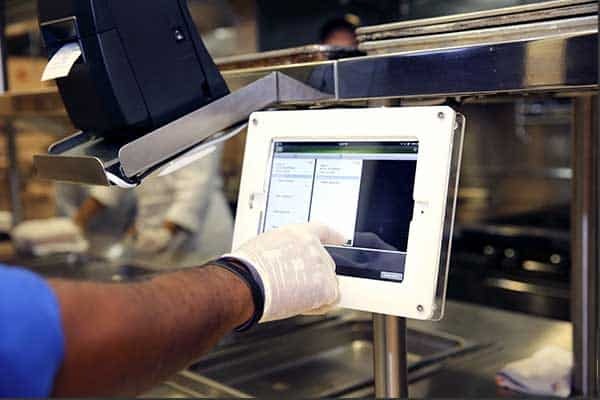 With the Lavu iPad POS system, you will be getting updated reporting on the terminal and cash drawer usage. These reports will include such details as the activity logs and till reports. In case the drawers pin-in, a server will be automatically connected to the correct drawer. Such features allow for a more effective management of the cash drawers in your business. Generally speaking, Lavu offers a modern, feature-rich and easy to use restaurant management and point of sale solution. Lavu KDS and Lavu Epson KDS are some of the aspects that set this POS system apart from its competitors. Lavu KDS is essentially a feature that is aimed at improving your control over kitchen operations. The multi-station KDS by Epson has been certified by Lavu as an optimal controller restaurant solution. With the Epson KDS, Lavu users can now manage the kitchen tickets to be displayed on the KDS. Like many other restaurant owners, you should get a POS solution that makes it easier for you to process online orders. In this regard, the Lavu To Go online ordering system is specifically designed to engage new customers and delight the existing ones. The system may be accessed on any device that has access to the Internet. Lavu to Go will integrate an online ordering system seamlessly to your website. This allows your customers to place orders with ease. With this system integrated to your restaurant website, processing delivery dine-ins and take-outs will become easier and more efficient. The efficiency associated with the Lavu to Go solution may be attributed to the particular set of reporting and branding tools it offers. In this regard, the solution allows you to customize and brand the customer interface whichever way you prefer. To make it even more flexible, the system allows you to incorporate your business menu, logo and appearance into the interface. 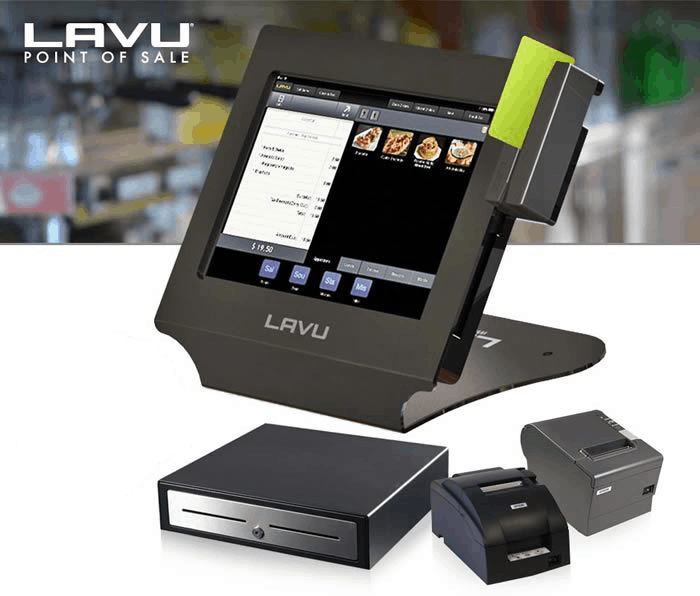 Affordability, Customization and a larger pool of features are some of the aspects that make the Lavu iPad POS system unique. Despite being one of the most affordable points of sale products in the industry, this product has a horde of security, performance and efficiency features to offer. Unlike some of the leading cloud-based POS systems for restaurants, Lavu POS offers tailor-made features and capabilities. 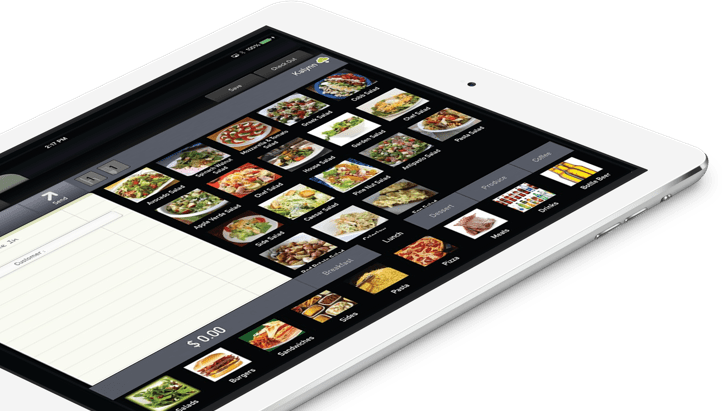 As such, the Lavu iPad POS system will certainly meet your needs, regardless of the type or restaurant business you own. Next Post How Much Does It Cost To Open A Liquor Store?